Porsche has launched a more powerful version of its diesel Cayenne. Badged the Cayenne S Diesel it's powered by a twin-turbocharged 4.2-litre V8 engine that produces 381PS and a huge 850Nm of torque - that's even more torque than the Cayenne Turbo. This gives it a 0-62mph time of just 5.7 seconds and a top speed of 157mph, yet as it's still a diesel it's also reasonably economical with an official fuel consumption figure of 34mpg and CO2 of 218g/km, helped by an engine start/stop system. In terms of looks it's as subtle as the standard Cayenne Diesel with the only differences being silver brake calipers and black front intake grilles. Standard equipment includes Porsche Traction Management (PTM) all-wheel drive, leather interior, dual-zone automatic climate control, front and rear parking sensors, cruise control, audio system with seven-inch touch-screen, eight-way powered front seat adjustment, front and rear electric windows, 18-inch alloy wheels and a 100-litre fuel tank. Fitted to every Cayenne S Diesel is a Porsche Vehicle Tracking System (VTS), a sophisticated vehicle security package approved to Thatcham Category 5 standard. 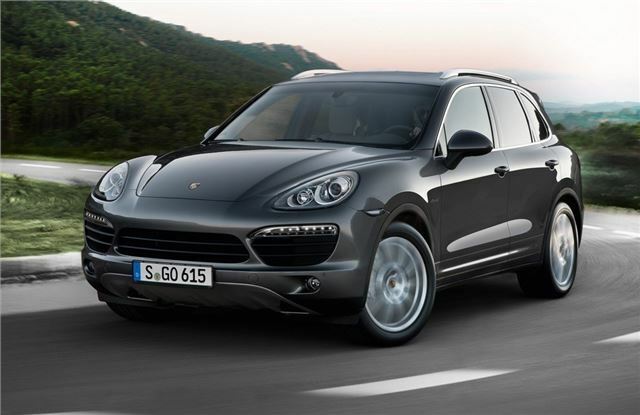 The new Cayenne S Diesel costs from £58,243 and will be in Porsche showrooms in January 2013. The new Cayenne S diesel variant is expected to come with almost the same exterior appearance and hardware as that of the regular Cayenne S petrol engine model, so the major changers are restricted only to the technical specs. this looks cool, but a big price tag too.